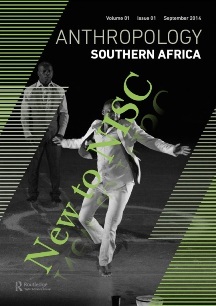 We are pleased to welcome Anthropology Southern Africa to the NISC stable of journals. The aims of this quarterly are to promote anthropology in southern Africa, to support ethnographic and theoretical research, and to provide voices to public debates. The journal looks at the current conditions in southern African, African and global societies, taking into consideration varied challenges such as the politics of difference, or poverty and dignity. It publishes peer-reviewed research articles, book reviews, commentary, and other material relevant to engaged scholarly discourse within and outside anthropology. Anthropology Southern Africa is the official journal of the ASnA, the professional association for social anthropologists living and working in southern Africa. The journal is also listed in the Social Science Citation Index with a two-year Impact Factor of 0.120 and a five-year Impact Factor of 0.273 in the 2013 JCR. NISC is delighted to be collaborating with Routledge on this important African publication.